On the day of the Purge, identical twins Alex and Aaron Stowe await their fate. While Aaron is hopeful of becoming a Wanted, Alex knows his chances are slim. He’s been caught drawing with a stick in the dirt—and in the stark gray land of Quill, being creative is a death sentence. But when Alex and the other Unwanteds face the Eliminators, they discover an eccentric magician named Mr. Today and his hidden world that exists to save the condemned children. Artime is a colorful place of talking statues, uncommon creatures, and artistic magic, where creativity is considered a gift…and a weapon. This novel was easy to read and had an intriguing concept. I liked the idea of a hidden magical world (and there were lots of magical devices and spells). I especially enjoyed the art and creativity woven into the story, and how the characters in Artime could invent their own spells based on their artistic talent. This book is often referred to as a cross between Harry Potter and The Hunger Games. It does remind me of Harry Potter, since the main character, Alex, is learning about a magical world that is all new to him, and there are many magical elements and spells. But the story is also told at times through the eyes of his twin brother, or one of his friends (there are some girl characters with strong personalities, too). Although there is fighting, it lacks some of the gruesome elements of YA novels like The Hunger Games. As a writer, I thought this was an excellent example of a good MG fantasy novel. The writing style was straightforward and direct, with lots of cool elements that would appeal to readers. 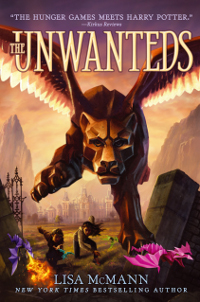 I heard about the sequel to this book The Unwanteds: Island of Silence in one of Shannon Messenger’s Marvelous Middle Grade Monday posts, and then saw the first book on the shelf at my local library and checked it out. Lisa McMann lives in Arizona but was born in Michigan. She has wanted to be writer since she was in Grade 4. For more, visit Lisa McMann’s website. As I clean my house today, I'm listening to fellow MiG Writer Debbie Ridpath Ohi, illustrator of I'm Bored, being interviewed by Katie Davis on her podcast, Brain Burps About Books. Debbie and Katie give some great advice for picture book illustrators as well as general advice for writers in How Do You Win an Award, Find a Literary Agent, and Get a Book Published? Get Rejected First! The sequel to the acclaimed subsea adventure DARK LIFE. Kat Falls brings to life the mysteries, marvels, and monsters of the deep in this fast-paced and inventive action-adventure. I loved the unique setting – I haven’t read many other middle grade novels that take place under the ocean. 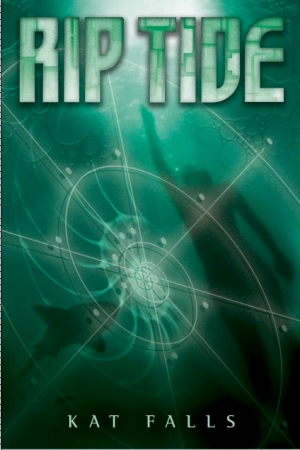 The underwater world in Dark Life and this sequel Rip Tide is intriguing and full of threatening sea life. The story in Rip Tide moves along at a fairly quick pace and is filled with action. Ty is a great heroic character, always taking risks to help other people. The special abilities he has due to growing up in the ocean add a unique twist to his character. His friendship with Gemma becomes slightly romantic in this novel, so I hope the author writes another story so we can see where that goes. I recommend reading Dark Life first, since even though this novel stands alone, Dark Life gives a clearer introduction to the undersea world and gadgets. From a writer’s perspective, I’d take another look at this when writing action scenes. It’s great the way the author can pack a lot of relevant information into a tight scene. I saw Dark Life in the Scholastic Book flyer last year and ordered it for my daughter. She enjoyed it so we bought the sequel. Kat Falls lives in Illinois and worked as a screenwriter before she started writing novels. Her first novel, Dark Life has won several awards, including a Juvenile Literary Award by The Friends of American Writers. It is being developed for film production. For more, visit Kat Falls’ website. Creating Two-Word Characters, Guest post by Nick Thacker at K.M. Weiland’s Wordplay. I like this idea, because it gives a quick “tag” for thinking about the character and keeping in mind a key trait as I’m working with them for the story. It also forces me to think about what the most important thing is about each character that I want readers to know. From the Intern: Reasons Editors Pass (Part 3) by Nicole Steinhaus on YA Stands. This is such a useful post to review if you’re working on developing a character. I’ve read a lot of middle grade books where there are evil villains because kids can relate to it easily. But I think there’s still room for “layers of gray” and characters that are a little more complicated and less clear cut. For example, I’m sure “mean popular girl” has feelings too. Agent Jill Corcoran on “What Makes a Book Sell” offers important advice about thinking about the “whys” for including each character in the story. I often automatically include a friend for my main character because friends are so important for middle grade readers, but this post reminded me that every character needs to have role in moving the story forward. The friend character can’t just be there to showcase some quality of the main character. What have you learned recently about creating characters? 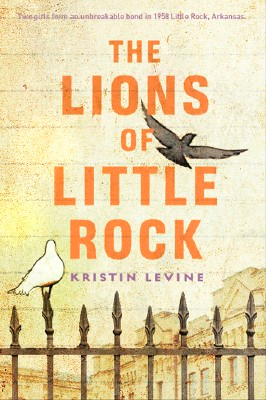 Two girls separated by race form an unbreakable bond during the tumultuous integration of Little Rock schools in 1958. I got very absorbed in this story. I learned a lot -- about the perspectives and prejudices of the 1950’s, about segregation and history, and about people and their fears and compassion. But what I enjoyed most about this book was the friendship between Marlee and Liz. Both of them were courageous and strong characters. Remembering back to how shy I was in school, I was rooting for Marlee to find her voice and not be so quiet. If I was writing any kind of historical fiction for children, I’d definitely return to this book because the author is so successful at weaving in the historical context with the typical middle grade issues of friendships and bullying or exclusion. It's also a great book to read to study character. The story is so completely from Marlee's perspective, I really cared about what was going to happen next. 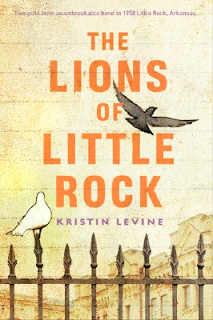 Kristin Levine is a mom and writer living in Alexandria, Virginia. For more, visit Kristin Levine’s website. Marvelous Middle Grade Monday was dreamed up Shannon Messenger, author of Keeper of the Lost Cities. Visit her blog for an up-to-date list of all the bloggers who are participating and posting about middle grade books today! The other day I found a purse that I'd stopped using last year when I got a new one. There was lots of stuff still inside - pens and notepaper, receipts, a few coins, some candies, a favourite pen that I thought I'd lost, and some lip gloss I hadn't seen for a while. It got me thinking about how my daughter's backpack is filled with all sorts of things - forgotten homework and parent notices, erasers, socks, precious pencils worn down to stubs, candy wrappers (no leftover candies here), stones, and many odds and ends that have no significance to me, but are (or were at some point) important to her. It would be cool to use a prop like this to generate story ideas. From one backpack or bag you can begin to develop a character: Why is she saving rocks, does she have a rock collection? Does she want to be prepared to defend herself? Is she collecting it for her bug house? Thinking about why the character has that specific item helps to establish some of her emotions and motivation. It might also spark a story: What's something cool a character could discover in their mom's purse? Why are they snooping in their mom's purse? What should they do about that thing they found in the purse in the attic? Why does that boy's backpack always have a weird smell? Is there something alive in there? And many more. Does it give you a few ideas? I don't often sit down and generate all the possible ideas that can come from a single item, but it's a fun way to get the creative juices flowing. Do you ever think about what's inside your character's backpack or purse? I read this novel in an afternoon and really enjoyed it. I loved reading all the “Little House” books when I was a girl (I even blogged about that once) and this book reminded me a little of those books. But the writing style was quite different and so were the situations and problems that May B. encountered. I got so involved in the story that May’s abandonment at the homestead took me by surprise and kept me hooked to the end to find out what happened. This is a great book for girls that enjoy reading about survival and pioneers. It’s also connects well to curriculum units on pioneers and early settlers. As a writer, I loved the way the author created such compelling images and evoked deep emotion in very spare prose. This is a novel I want to have for my own bookshelf. Caroline Starr Rose has lived in many places, including Saudi Arabia, Australia and New Mexico, where she now lives and writes fulltime. 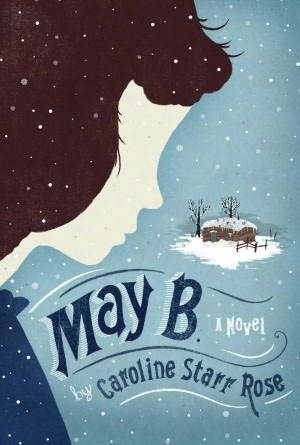 According to an interview with Caroline Starr Rose over at The Reading Fever, one of the hardest scenes for Caroline to write was one where May reads a poem and struggles over her reading. Caroline says this about her writing process: “While drafting, I imagined a quilt with each poem standing in for a different square of fabric. As I moved from poem to poem, I trusted certain themes and story strands would unfold, just as patterns form on a quilt.” From an interview with Caroline Starr Rose byauthor Augusta Scattergood. For more, visit Carolyn Starr Rose’s website. I'm so excited this week. 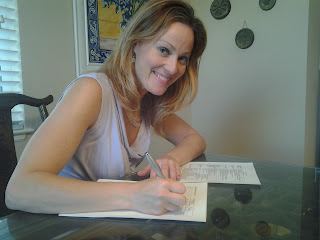 My writing buddy, Christina Farley sold her YA novel, Gilded! Yay!!!! I can hardly wait to read it when it comes out. Visit Christy's blog to hear the whole story. If you haven't seen her blog, you might want to check it out. She's so enthusiastic about writing, it's contagious. And I love reading about the interesting places she's lived in and visited. Seeing how Christy's determination and hard work is inspiring. My goal this weekend is to get a couple more chapters revised and have a delicious turkey dinner with my family (Canadian Thanksgiving). Do you have any writing goals this weekend? Happy writing! In her post, MG vs. YA Characters, YA author Beth Revis gives us a really interesting take on what's beneath the surface of characters and some insights on how to get into their perspective. It definitely gave me a lot to think about. Over at The League of Extraordinary Writers, Lorin Oberweger guest posts on World Building, posing the question: Are you world building or world recycling? It's all about how the worlds you see in TV, movies or other books influence the way you shape your own story world. Lorin also gives us some tips and questions for how you can make the world you're creating unique. Travis and his sister, Corey, can’t resist a good trick. When they learn that their grandmother’s quiet Vermont inn, where they’re spending the summer, has a history of ghost sightings, they decide to do a little “haunting” of their own. Before long, their supernatural pranks have tourists flocking to the inn and business booms. Once again, Mary Downing Hahn has created a chilling and gripping ghost story in the tradition of The Old Willis Place, Witch Catcher, and Deep and Dark and Dangerous. 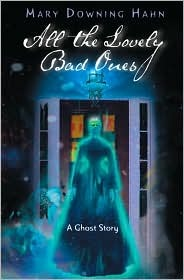 I don’t usually read ghost stories but I’ve seen this one at the library often so I thought it must be a good one. It wasn’t a long book and it was fast-paced, so I read it quickly. I loved the idea that by pretending to be ghosts, Corey and Travis woke some real ghosts and spirits. It was definitely a little scary! I liked the way different ghosts in the story had different motives. The characters of the guests staying at the inn added some humour to the story. As a writer, I’d study this novel more closely to see how the writer builds suspense. I found this on the shelf at my local library and I was attracted to the spooky cover. Mary Downing Hahn was once a children’s librarian and has been writing children’s books for over 30 years. Her books include historical fiction, contemporary fiction, and fantasy, but she is best known for her mysteries and ghost stories. This author lives in Maryland. For more, visit Mary Downing Hahn’s website.